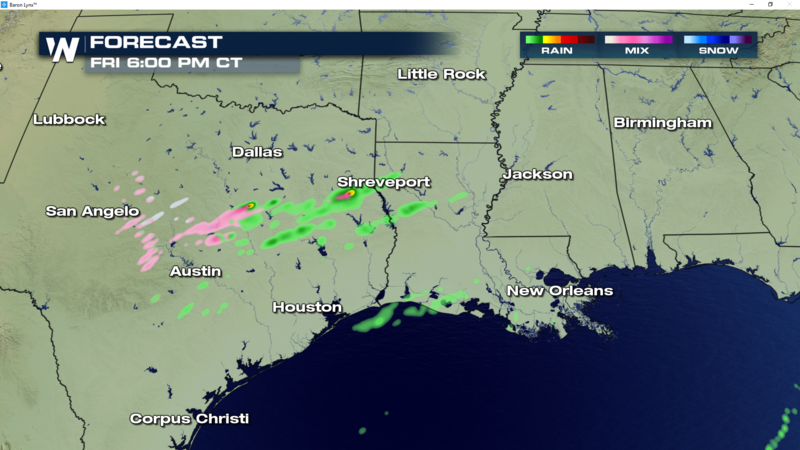 As the tail end of a strong storm sweeps through areas of the south, residents in central Texas will see ice, sleet and snow in the forecast overnight and into early Saturday morning. 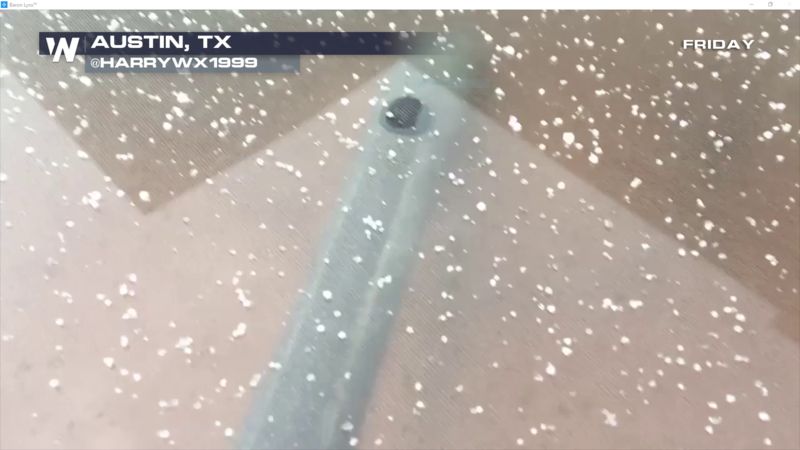 This picture shows graupel in the Austin area earlier this aftertnoon as temperatures flirted near the freezing point of 32°. This is all associated with a frontal boundary that will slowly work it’s way through the region over the next 24 hours. Temperatures will fluctuate between 30° and 38°, giving the region a chance for numerous types of precipitaiton, including snow, sleet and rain through tomorrow morning. Here are some reports of winter weather through the area from earlier this afternoon. 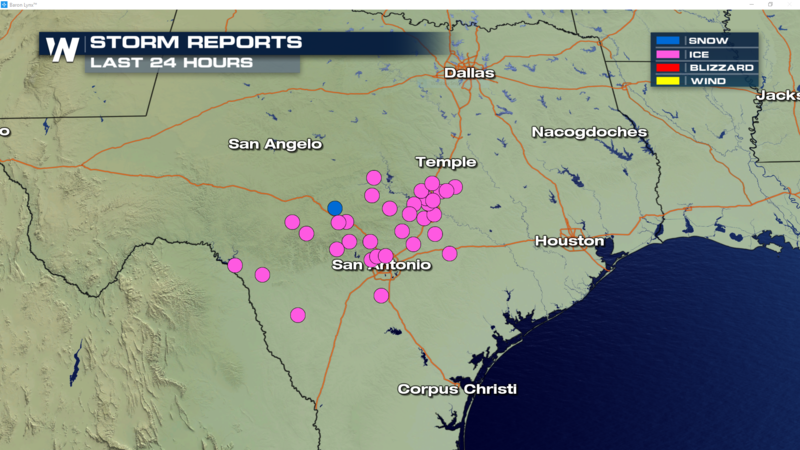 Note the majority of reports have been ice, with a lone snow report north of San Antonio. The forecast remains mainly ice through noon on Saturday, with a distinct line of pink denoting the area most likely to see the frozen precipitation. 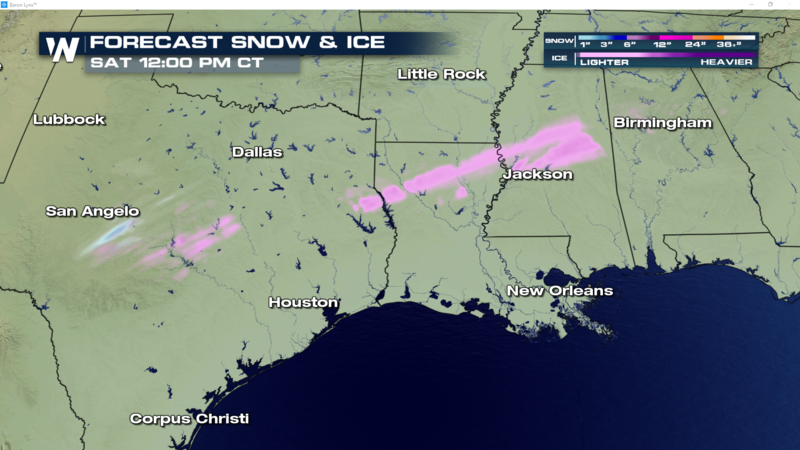 Most areas will see minor accumulations of an ice/sleet mix. 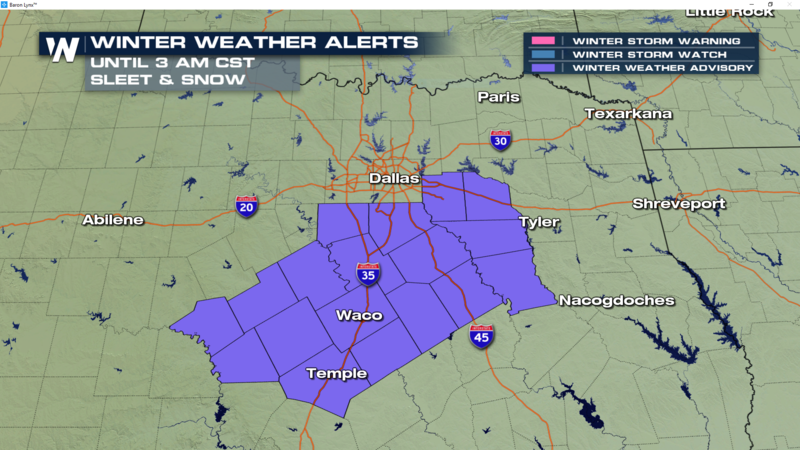 Sleet accumulations up to 1/4″ are possible Be aware of icy road conditions, especially on elevated roads and bridges. The hazardous conditions could impact the evening commute home tonight. Also note the yellow reflectivity colors in the forecast, hinting at the chance for a few areas of isolated thunder this evening!